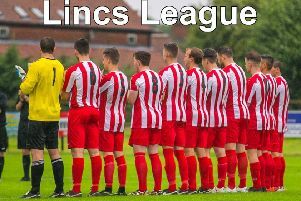 Skegness Town return to chasing league points at the weekend after last week’s exit from the FA Vase. The Lilywhites lost 4-1 at Quorn AFC from Leicestershire to bow out at the second round qualifying stage. Their attention now turns to Saturday’s league encounter at home to high-riding Dronfield Town (KO 3pm). The Derbyshire side are currently enjoying their best season since joining the league in 2013 and, after losing their opening game on the first Saturday, have not looked back, winning their remaining five fixtures. They are unbeaten in the league away from home and Town manager Martyn Bunce will know they will provide a tough test at the Vertigo Stadium. Bunce will be without Ben Fidling, who suffered a fractured ankle in the defeat at Quorn. The Lilywhites battled well on the 3G pitch at Quorn, but found the home side too strong. Their consolation goal was scored by George Hobbins.